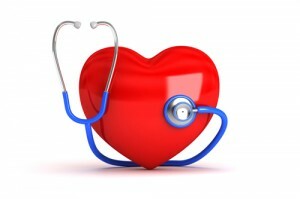 Heart disease and stroke are two current leading causes of death in the United States. Cardiovascular disease can affect people of all races, ages and backgrounds, but certain lifestyle choices such tobacco use, being physically inactive, obesity and alcohol abuse can increase the risks of cardiovascular disease. 47% of Americans have at least one of the three major risk factors for heart disease (High blood pressure, high cholesterol, and smoking). Adults should incorporate at least 150 minutes per week of moderate aerobic activity with 2 days per week dedicated to muscle strengthening activity. Physical activity can be spread out over the entire week, so don’t feel the need to squeeze it all into one afternoon at the gym! Discomfort in the upper body. Can be pain of discomfort in the arms, back, neck jaw or stomach. Shortness of breath. Comes with chest pains, but they can precede it. Cold sweats, nausea and light-headedness. If you or someone you know is having a heart attack, please call 911 immediately.